There are 2 posts in this thread, and it has been viewed 3668 times. Stakes Winner 2. What do you think of it? Neeeigh! A sequel to a well received Horce racing game? On the Neo Geo?! Indeed, Saurus once more took the horsey path of gaming and decided to release a successor to the title from 1995. So what's new on the race track? In addition to the A (acceleration) and B (use crop) buttons, there is now a C button that activates certain special powers like giving a horse a boost of energy near the finish line. 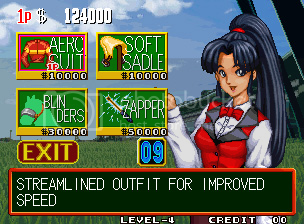 Between races, the won money can be used to upgrade the horse's statistics or purchase special powers. The known bonus levels are also different and now allows the player to work on training a specific attribute on your horse. Furthermore the graphics and artwork have been slightly improved. It's interesting that Saurus and SNK again decided to release the game for all sorts of consoles, including the Sega Saturn and Playstation. The only thing left to ask is if it's politically correct to use electrical zappers instead of horse whips? PETA, help! 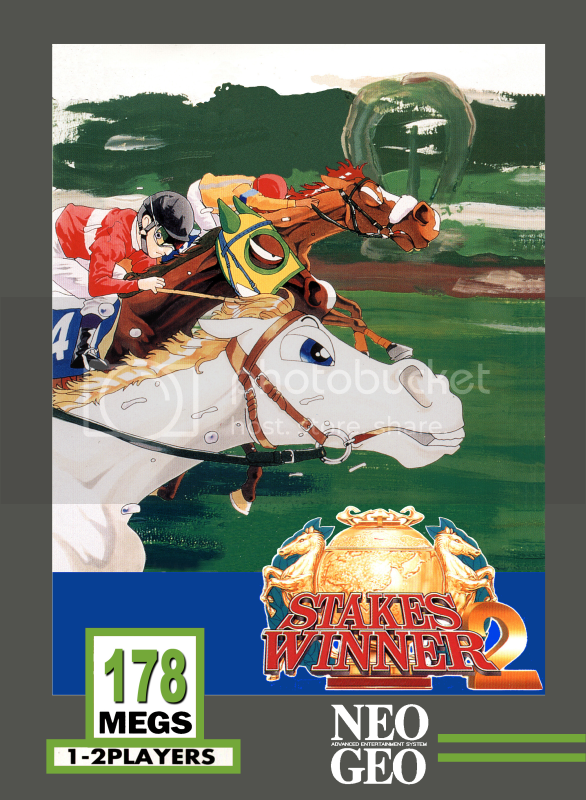 Stakes Winner 2 is a 2D horse racing game released in 1996. 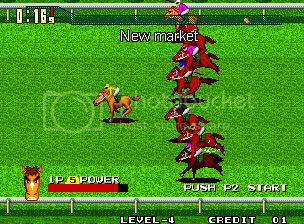 Choosing from one of the game's selection of horses, players must compete in a series of races on different tracks to earn money and prestige. Each horse that players can select is rated according to speed, stamina, and burst. Money earned from winning races can be used to buy items to either upgrade a horse or to give a horse certain special abilities. To do that, players must visit a shop between each race. 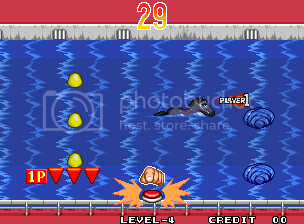 Horses can also be taken through certain bonus stages. 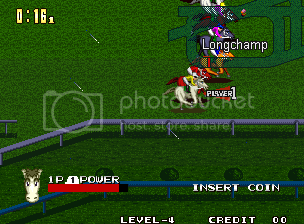 After choosing what aspect of the horse to work on in the bonus stage, players can upgrade their horse's basic statistics if they complete the stage successfully. A HSC? Anyone interested? Then leave an according thread or send Priest a PM! I rather ride fat hookers than the horses in this game. Terrible. I bought this for Saturn since there wasn't an NGCD release. Haven't played it for a while but from what I remember it seemed a bit better than the first game. I do quite like the Stakes Winner games and it's nice to have a few races now and then but I can't really see myself sitting for hours playing this. Perhaps I'll get into it more in the future. Would be interesting to try out the two player mode. Troopers, which has much wider appeal, wasn't.